Girlstuff Rocked The Dots With The Minnie Mouse Nail Lacquer Collection! Pardon me but OMGGGGGGG! The Disney girl in me couldn't quite keep still after seeing Girlstuff's latest collection in person. Did my smile give that away? :) Without further adieu, I want to share with you today's NOTD plus the the entire Minnie Mouse Nail Lacquer Collection from Girlstuff! They're sold separately (Php 150 each) and in gift-ready packaging singles and boxes of 3 (Php 430). Checkout the swatches and some inspo for your next nail art sesh! I opted to keep mine simple (hahaha) using So In Love on most digits. My Minnie Mouse accents? They're Je t'aime and Yours Truly. 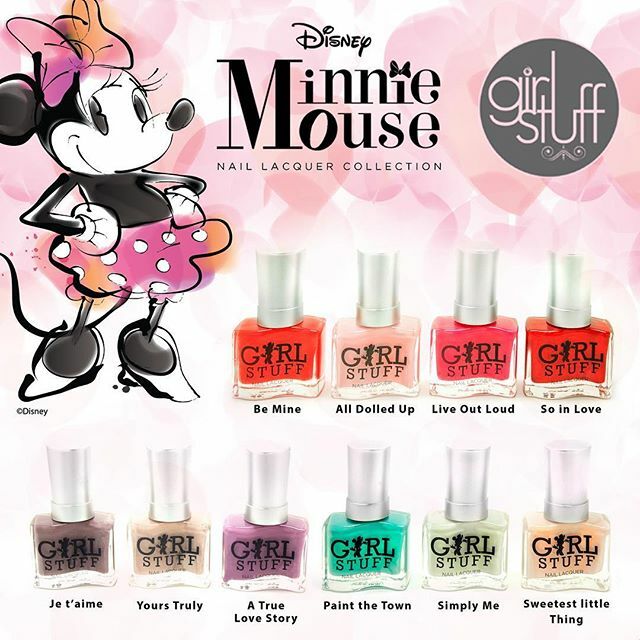 The Minnie Mouse Nail Lacquer Collection is now available in Girlstuff SM MOA, SM North, SM SNL, SM Megamall, Glorietta 2, ATC and girlstufforever.com.